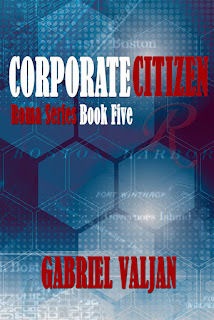 I love a great suspense story and the Roma series offers me just that. As you can see above, I have read and reviewed every book in the series. I also love a strong female lead character and Bianca fills that role perfectly. Intelligent, utterly competent, not afraid to lead and willing to face dangerous situations despite her fear. 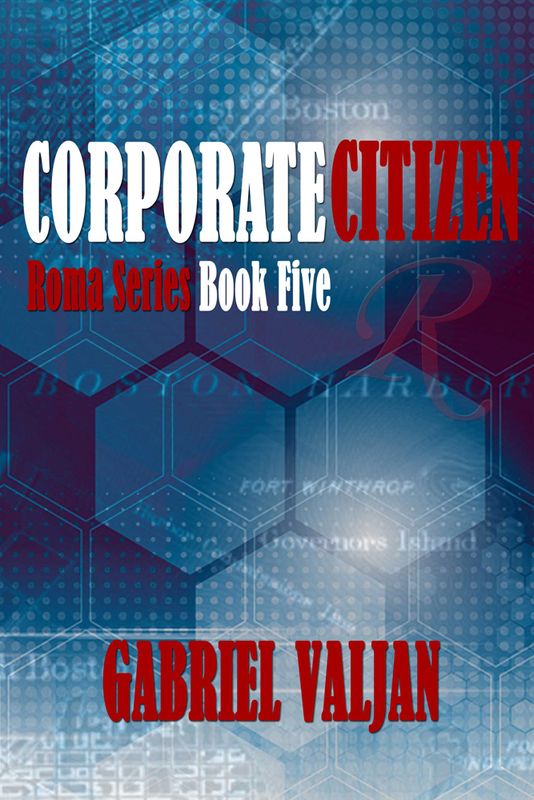 In Corporate Citizen, Bianca and boyfriend Dante's tempestuous relationship has found them taking a break. She and her friend Genaro (a senior investigator in the GdF) are house sitting for a friend when a call comes from a U.S. colleague in Boston. Diego Clemente - now retired from the Boston Police Department - is in the hospital and ready to go into surgery. The drug are kicking in and what he's saying is confused to say the least. But what does come through is, they need to get on the plane immediately. Someone has died and their friend is being drawn into a spider web of danger. Her former employer - Rendition - is somehow in the mix as are several past enemies. Bianca, Gennaro, Allesando and Silvio arrive in Boston and quickly realize the noose is tightening. Clemente needs their protection. And talking with the suspect the police first interrogated for the murders - Nick Adams, a former soldier with PTSD - leads them to suspect there is something much bigger and more sinister going on. With Dante behind in Rome, Nick and Bianca make a personal connection which complicates the team dynamics. Loki is quick to step into the fray as is new character - a net computer whiz and agent called the Magician. 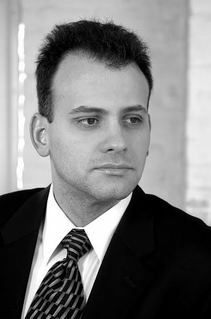 Farese also appears on the scene pulling strings. The sharks continue to circle and people are dying as the team gets closer and closer to the truth. And true to the series, many discussions on the case occur as they enjoy fabulous meals, this time courtesy of their friend, Chef. While the plots are always intriguing, what I think is author Valjan's greatest strength is creating characters, relationships and locations that come alive. Corporate Citizen was no exception. I can't wait for book six! Previous interview with the author - HERE!